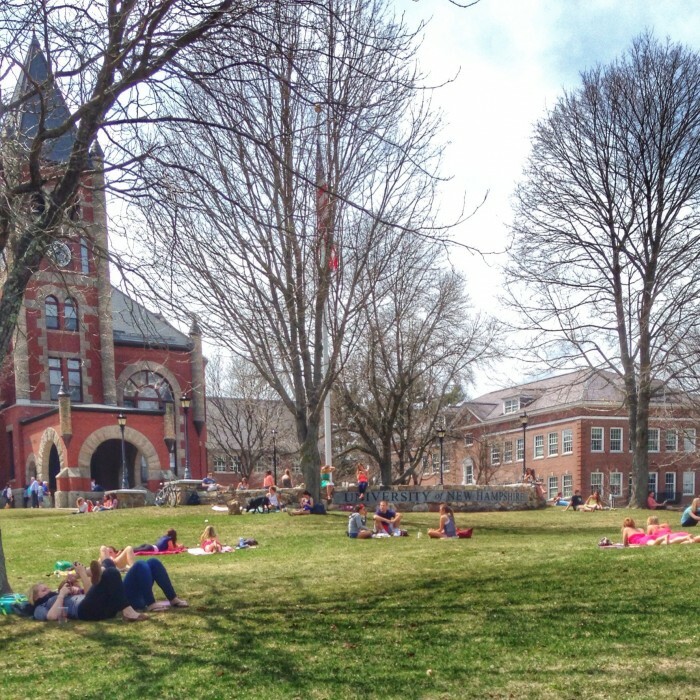 Every UNH dorm has its own hall council committee that tries to organize a relatively local field trip each year and opens it up to all residents within the dorm as long as space is available. 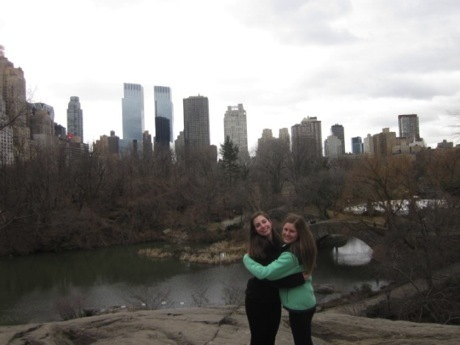 This year, the Christensen hall council organized a trip to New York City, which is about a five hour drive from UNH. 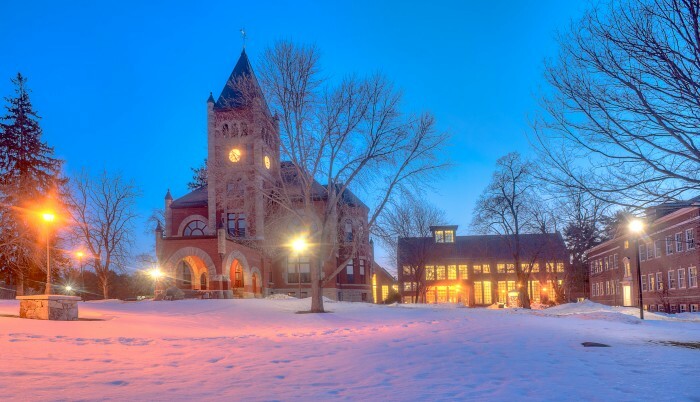 The trip was open on a first-come-first-serve basis to fifty Christensen residents for only $20 if their hall dues were paid at the start of the school year and $30 if their hall dues were not paid. We all met on the coach bus in B-lot (located between areas two and three on campus) at 5 am on Saturday morning that weekend and we began our journey! Since the bus consisted of many sleep-deprived college kids, we all slept most of the way there making the trip seem so easy! Once we arrived in the city, we only had two rules: do not be late for the bus at the designated meeting place, and obey all UNH rules. From there, we all went off with friends and did whatever we wanted all day. My friend and I stayed in Times Square at first and played tourist by visiting the classic M&M and Hershey’s stores and of course, got ourselves on the American Eagle billboard wearing our UNH sweatshirts! We then decided to venture over to Dylan’s Candy Bar, my favorite candy store ever, and have lunch and shop for candy! I had s’mores pizza for lunch for a change of pace from campus food and it was amazing! On the way back, we roamed through Central Park a little before playing tourist again in Times Square. We even discovered a small bakery that bakes the smallest but most delicious cupcakes I’ve ever had called “Baked by Melissa”. The bus picked us up at 8:30 that night for another sleepy ride back to campus. Although we all were quite exhausted and returned to campus very late, it was fun to get off campus for a day and do something new with my college friends! Written by Rachel Afrow, UNH Class of 2016. Graduation Year: 2016 Major: Communication Sciences & Disorders About Me: First year student from Middleton, Massachusetts – I love dancing, baking, watching movies, & hanging out with friends. Favorite Spot on Campus: Circle in the center of lower quad – During PrOVES week, we had reflections there on a nightly basis and they allowed everyone to get to know one another more personally through stories, experiences, comments, and of course, giant group hugs! 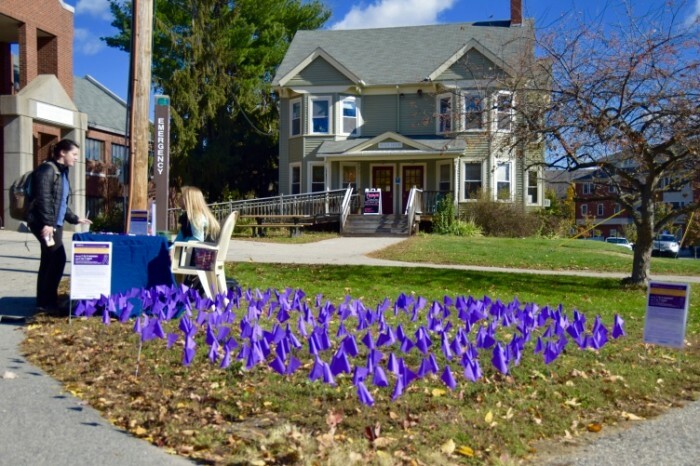 The color purple is used to bring awareness to the issue of domestic violence.